Mark worked in senior political and policy positions in Australia’s policy and public system for nearly 20 years. He was a senior political and policy advisor with the Victorian Government in the 1990s and a strategic communications executive for the corporate sector in the 2000s. Prior to these roles, he was a political journalist. 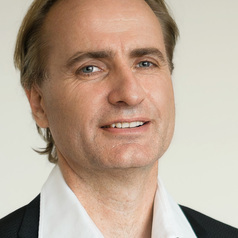 His PhD, completed in 2013 at the University of Melbourne, focused on the reasons for the structural decline of Western democracy in the 21st century. He also has a Masters degree in international politics as well as a BA (Hons) in sociology. Mark has lectured at the University of Melbourne in a range of fields including political theory, public policy governance, political communication and strategic lobbying. His op eds, articles and commentary on politics and policy – particularly on democratic decline and ways to renew our democratic system for the 21st century - have appeared in a number of leading media outlets and journals including The Conversation, The Age, The Sydney Morning Herald, Australian Book Review, Meanjin, Australian Economic Review and The Australian Financial Review.